The challenge has never been greater! In today’s business environment of accelerating change and increasing uncertainty, only leaders who know who they are and where they are going will succeed. Today’s leaders must do more than manage change. They must thrive on! To most effectively lead others, consider mastering the art of self-leadership. Understanding who you are and what gives your life value will help you to establish your life’s purpose and pursue it with confidence, skill, and commitment. Know where you are going and how you are going to get there! This Leadership Development process is a structured, open-ended, and pragmatic approach to leadership growth. The process is designed to help individuals develop the attitudes, skills, and qualities necessary for personal and organizational leadership. Much of what a leader is involved in, and therefore accomplishes, involves other people. To be effective in this continuous challenge, it is important to learn, understand, and use interpersonal skills effectively. Leadership, among other things, is the process of providing organizational direction and accomplishing necessary objectives. 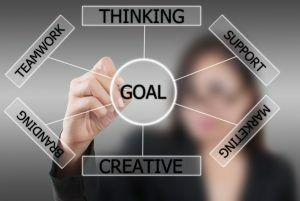 The goal accomplished model provides the tools and process necessary to achieve more goals, more often, in order to maximize results and outcomes.